Saturday was a neat day at the Clay County Fairgrounds starting with the 5K and 10K runs in which I heard 65 people ran or walked in! It was exciting to see the crowd that turned out to watch this first year event and hopefully it’s conducted again because it seemed like a success for the first year! 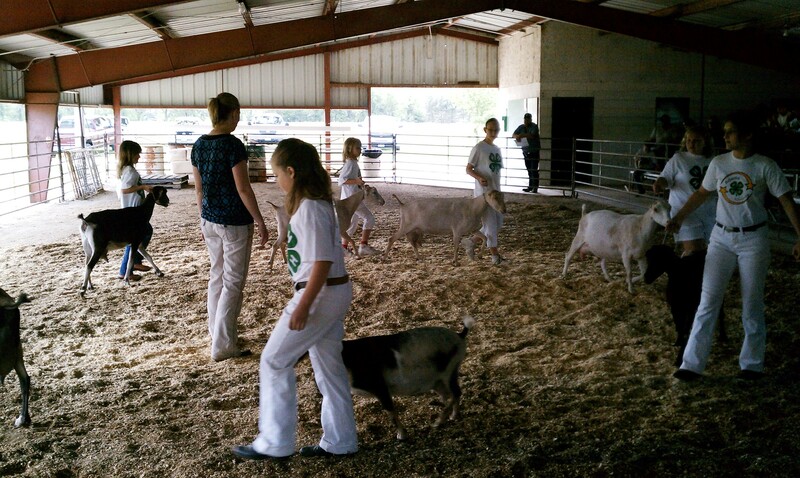 After the road race, it was our Regional 4-H Dairy Cow and Goat show. That’s always an enjoyable show as it is laid back and fun-but it’s also a reminder that fair is just around the corner! Following the dairy show, we tried something new. Some 4-H families adopted some rescue llamas so they were hoping to show them. While livestock isn’t my strong suite, I know nothing about llamas so we opted for an exhibition this year. A 4-H Club from Polk County generously came down and ran the exhibition for us. It was interesting watching showmanship as the youth held the halters high but not close to the llamas’ mouths and they never changed sides when the judge walked past. Probably the most interesting part was watching the obstacle course. Essentially it’s like a glorified trail’s course for horses, only more interesting! 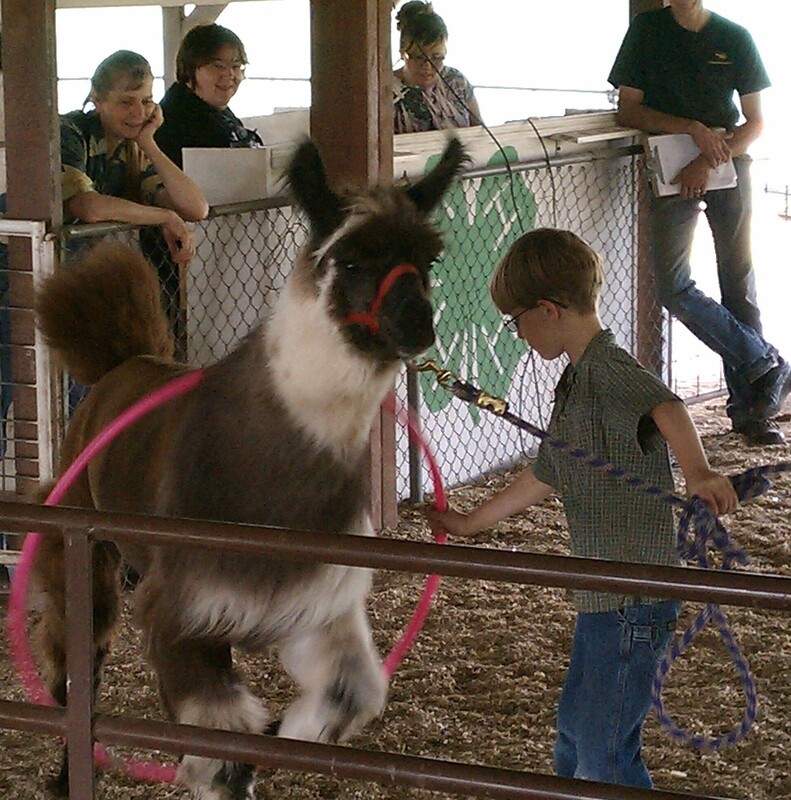 Youth had to pick up a hula hoop and put it around his or herself then have the llama essentially walk through it. The llama had to back between logs, walk over bridges, change pace, and in different spots it had to put two feet in a ring laying on the ground and the youth had to do things like show the judge the llama’s hooves or teeth! Needless to say, it was very interesting and I think everyone watching learned a great deal! Posted on June 14, 2011, in 4-H, Livestock and tagged 4-H, Agriculture, fair, goats, livestock, llamas, youth. Bookmark the permalink. Leave a comment.